It's OK to be Different encourages parental support. Parent leaders/volunteers and teachers can work together as a team to administer the program, direct hands-on activities and introduce speakers periodically throughout the school year for each individual unit. The It's OK to be Different program can help fulfill anti-bullying state mandates and complement your school's existing curriculum. Each unit can be purchased individually or in multiples for a discount. Bring It's OK to be Different to YOUR school! Please indicate the specific unit(s) you are interested in learning more about via the email form below and a member of our team will reach out to you. Select Unit(s) of interest: Building Friendships: Be a Buddy Not a Bully (Pre-K/Kindergarten) Understanding Disabilities (1st/2nd Grades) Respect For Different Learners (2nd/3rd Grades) Celebrating Cultures (3rd/4th Grades) Courage To Care (5th thru 8th Grades) Embracing the LGBT Community (6th thru 8th Grades) Multiple Programs: Please indicate your interest in the message area. Suzanne Duffy, Editor/Graphic Designer, Curriculum & Suzanne Butler, Marketing/Business Development. Both are former It's OK to be Different Parent Program Co-Chairs at Sickles School in Fair Haven, NJ. Our exemplary year long program that teaches children empathy & respect has now generated an explosion of interest in schools across Monmouth County, NJ. We are currently looking to grow the program across all NJ schools and eventually nationwide! 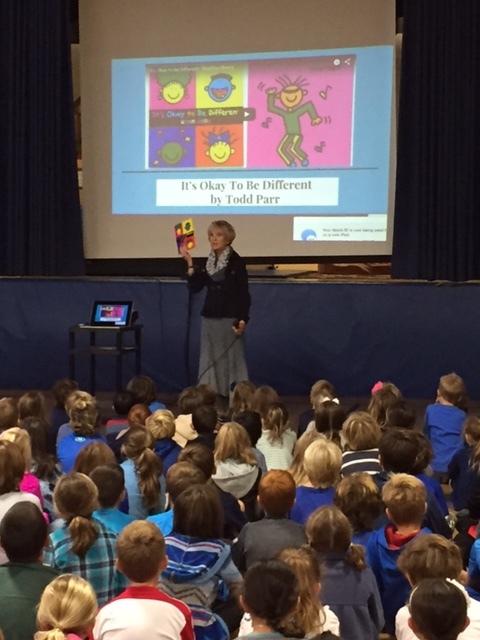 When I was just five years old in Kindergarten, a special lady named Laraine Gaunt came into our classroom to teach us about Understanding Disabilities, part of a program she created called It’s OK to be Different. Mrs. Gaunt was soft spoken and her kindness greatly impacted who I am today. The It’s OK to be Different program is a comprehensive program that teaches empathy, respect and acceptance of an individual’s differences to children in elementary school beginning as young as Pre-K and builds with additional units through middle school. This curriculum is chock-full of literature, hands on activities and guest speaker appearances monthly. Ultimately, my mother was a volunteer throughout the program and helped rally the other moms to participate in this embracing environment. The best part of the program was that it created a conversation within my family as we discussed all of the hands on activities we did, the inspirational speakers we met and literature covered throughout the school year. Our discussions helped reinforce what it means to be a part of a community that supports one another and that people with disabilities are pretty amazing with a focus on all of the things they can do despite their conditions. I also learned that it takes a lot of courage to stand up for others who are in the midst of facing discrimination and that their actions can have a domino effect for positive change. Now that I am older, I know that the world can be a tough place, with bullying and racism. Mrs. Gaunt’s program has really opened my eyes through the exposure to others who have faced special challenges and judgement and has taught me many life lessons. The central message that I learned from Mrs. Gaunt is that we are basically all the same as people: everyone wants and deserves to be loved and accepted for who they are. My mom always says that this amazing program has had a tremendous and lasting impact on our hearts and now serves as a permanent benchmark for navigating through life in our household. It’s OK is now part of the lingo in our home. When one of us becomes judgmental, we keep each other in check: we’ll all chime in: It’s Ok to be Different! This reminds us to be kinder and more compassionate. In 6th grade, I was hand selected to be an ambassador with the Circle of Friends program at my middle school where I had lunch every Friday with students who are struggling with various academic and social issues. Before I knew I was selected to join, I wanted to find the signup sheets because I felt this would be a great place to spread my compassion I have developed. I bonded with one girl in particular who, as it turned out, was placed in my class at my dance studio. She often had difficulty keeping up with the routine and had many awkward outbursts of frustration which drew attention from my friends and peers there. I feel that my support and friendship during my lunch time truly made a difference and provided her with some level of comfort both in school and at the studio. 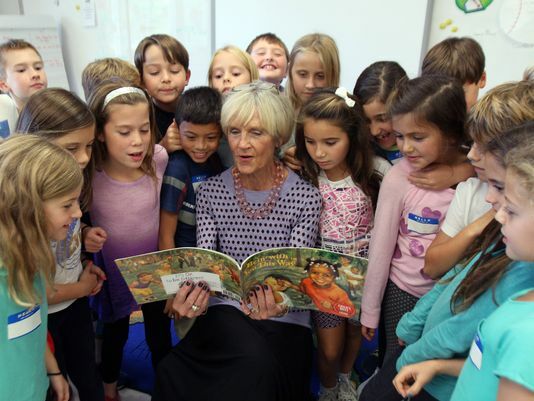 I learned that Mrs. Gaunt has dedicated her entire life to teaching empathy to children. She started out as a Special Ed teacher for the hearing impaired before creating the It’s OK to be Different program which has been gaining recognition throughout New Jersey. I am wishful that Mrs. Gaunt can spread the program nationally. She has received many awards and honors for her devotion and also volunteers her time to many organizations such as Holiday Express and Lunch Break. The Holiday Express mission is to provide support and friendship to those with the greatest need for the gift of kindness during the holiday season through love and music. Lunch Break provides life’s basic necessities like food and clothing for community members in need.